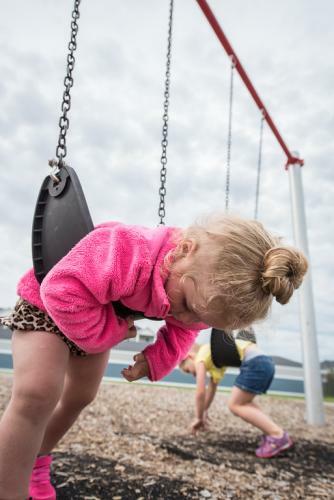 The Consumer Product Safety Commission reports that nearly three-fourths of all injuries suffered on the playground result from falls. Therefore, it is vital the proper fall protection be considered, budgeted for and installed on all public playgrounds. Review these links for a variety of surfacing options available. Engineered wood fiber, sand, pea gravel and other bulk materials are considered loose-fill material, which is one option for your playground surfacing. This option has the least expensive upfront costs and is easy to install, but loose-fill requires more maintenance to meet CPSC guidelines. Some factory-engineered materials provide a guaranteed critical fall height value and require little maintenance. 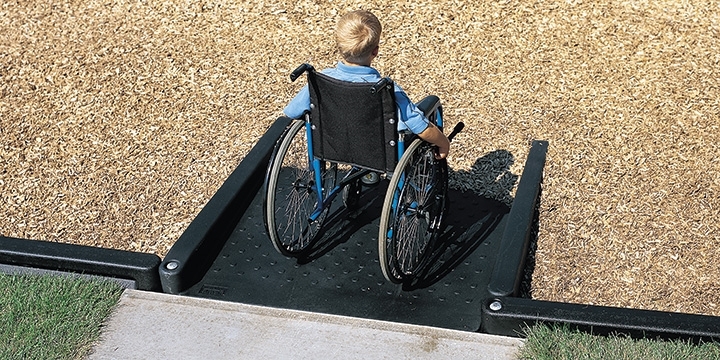 Such playground safety tiles are mainly used for wheelchair access paths and high wear areas because of cost considerations. Many synthetic turf surfaces meet ASTM requirements for fall height and ADA. Even more, turf requires less maintenance than loose-fill material and will fit mid-range budgets. 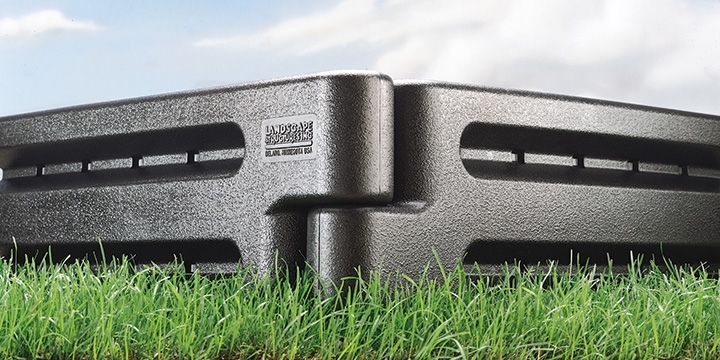 Bond-in-place surfacing like the patented* PebbleFlex® system is a durable playground safety surfacing option. With cushioned layers of recycled rubber and foam, the life of PebbleFlex surfacing is extended beyond many traditional poured-in-place surfaces. 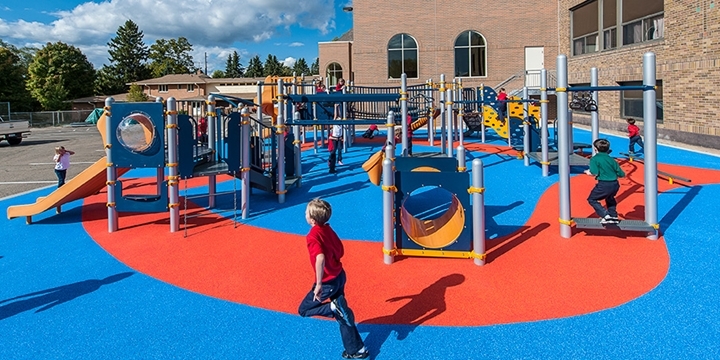 Ease of maintenance, UV resistance and compliance with all safety and accessibility standards should be a consideration with this playground safety surfacing. 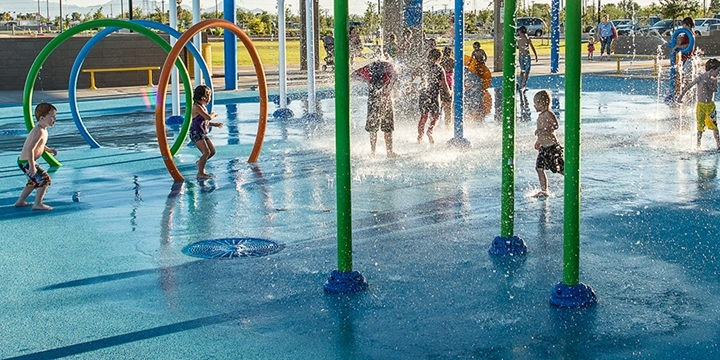 In addition to providing innovative, high-quality, safe and durable commercial playground equipment and PebbleFlex safety surfacing, we also offer water play surfacing to meet your broad recreation needs. 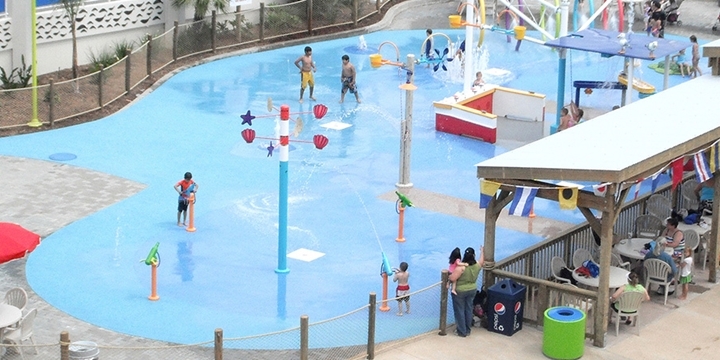 AquaFlex®, a Landscape Structures product provided by Surface America, is a durable, chlorine-resistant, UV light stable choice for your water play environment. This bond-in-place surfacing is the only water play surfacing choice available in a porous and non-porous option that can be used indoors or out.